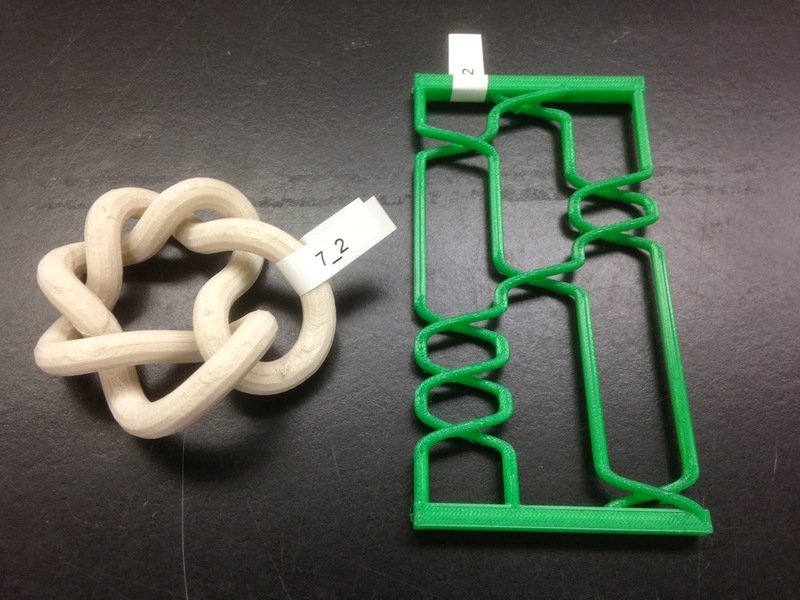 Continuing with the knot conformations series we started on Day 266, today we printed a braid representation of the knot 7_2. Settings: Printed on a Replicator 2 with our custom knot support profile. After exporting we used the Blender-thickening method from Day 285 to thicken the strands, and added bars to the top and bottom using Tinkercad.